While, whereas, on the one hand, on the other hand, etc. In this English lesson you will learn how we use contrast linking words like while, whereas, on the one hand, on the other hand, by contrast and in contrast. 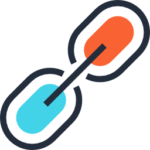 We use these contrast linking words to contrast two facts or ideas but not to contradict. Let's have a look how we use each of the linking words. These two are used simultaneously and you can substitue one for the other. My friends like to party, while/whereas I prefer to go to quiet places. While/whereas New Zealand has a small population, Australia's is a lot bigger. I like to holiday in the mountains, while/whereas my wife likes to go to the beach. As you can see, while/whereas can either begin a sentence, or start the second clause. When it starts the second clause it can be substituted by 'but'. My Mates love to party but I prefer to go to quiet places. Be careful with 'while' because it can also mean 'during'. I went to the shops while my children were at school. On the one hand I'd like to quit my job and travel full-time. On the other hand I realise that I must be resonsible and keep my job. Or, you can use on the other hand alone. I'd like to earn more money. On the other hand, I don't want too much responsibility. I like rock music. My wife, on the other hand, likes pop. Like while and whereas, by contrast and in contrast can also be used simultaneously. Have a look at how we use them. Bank shares continue to underperform. Tech stocks, by contrast, show no signs of slowing their growth. John had a terrible childhood. His wife, in contrast, could not have had a happier one. There you go. You know no how to use these contrast linking words. Now you will speak and write English even better. You can study another one of my lessons here. 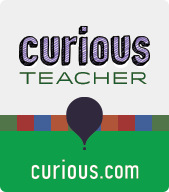 I also have interactive lessons on curious.com. Want to help me make more English video lessons? Buy me breakfast.